Shed guttering is a vital yet often overlooked feature for ensuring the contents of your shed remain clean and dry. Do you want to sleep safely knowing that the contents of your shed are protected from leaks every time it rains? And… would you like to avoid rushing out to move things away from your shed walls or prop everything up on pallets ahead of an expectant downpour? 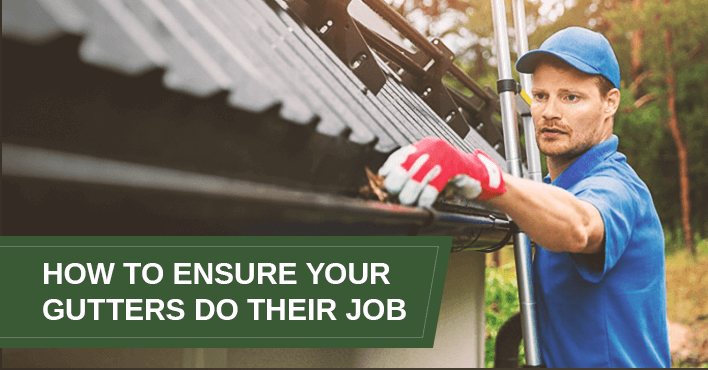 Then you need to make sure your shed can keep your precious contents safe from water damage with reliable and secure gutters. The specifications and design of your shed guttering is important. You see, many shed companies only use a single screw through the back of the gutter to secure it to the shed, but at Designer Sheds we recommend and use robust gutter brackets to make sure your drainage system works to keep your shed contents dry. Even during the heaviest downpour, these brackets will ensure your gutters stay level. Gutters that are not properly supported are prone to flex out of shape and sag downwards when they become full of water. This causes them to overflow, which puts the contents of your shed, not to mention your shed itself, at risk of water damage. Gutters should be designed for maximum water evacuation. Our sheds are fitted with oversized 100 x 75 downpipes. We use this larger-than-standard size to avoid overflow problems during heavy or prolonged rain. The smaller 100 x 50 downpipes used by many other shed companies may quickly become overwhelmed during a downpour, causing water to back up and overflow the gutters. Another point to note is that many kit sheds automatically come with a complete downpipe system. This may not appear to be a problem at first glance. However, we find more than half our clients simply don’t need full downpipes because they want to direct rain water into their rainwater tanks. Because we design every shed to your exact specifications, your Designer Shed will only contain the right amount of downpipes you need so you don’t waste money on extra drainpipes that go to waste. We offer two gutter profiles to choose from – Trimline (square) or Quad. If maximum runoff or water collection is important to you, Trimline will be your best choice because it has a slightly larger capacity. If you’re thinking of investing in a new shed or steel building, don’t forget to factor in your guttering design. It’s a little thing that makes a big difference. One of our expert Shedologists can explain more about your gutter options during your Free Design & Quote Session.